This place has been on my list for years, but laziness and inconvenience has prevented me from venturing out to Astoria for it. 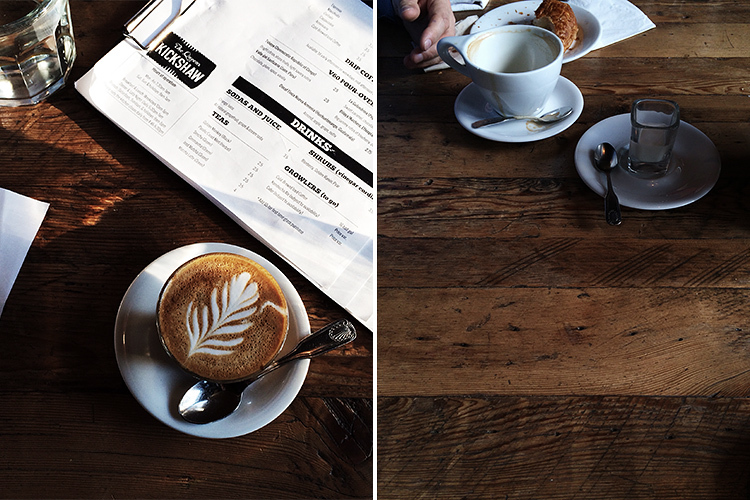 After a visit to the Noguchi Museum yesterday, we popped in to The Queens Kickshaw for some cortados. I am also a sucker for grilled cheese and tomato soup so how could I resist? Overall a fine spot. 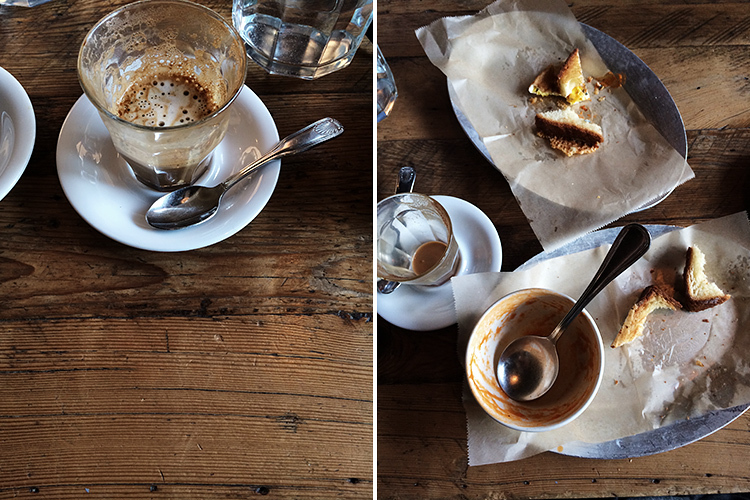 I enjoyed the food more so than my cortado, which had a somewhat bitter aftertaste. I can't really judge the place based on one coffee drink, but I'd definitely go back for the space and grilled cheese alone. The natural sunlight coming through is lovely. The food looks delicious, too! 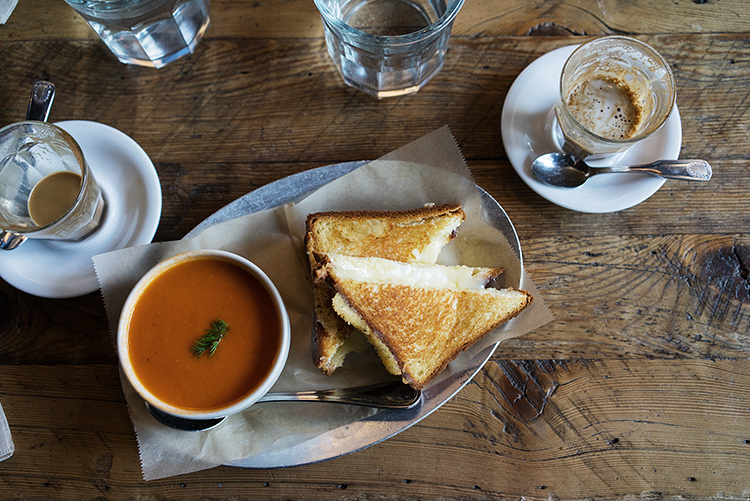 Grilled cheese and tomato soup would definitely hit the spot right about now. You photographed everything so beautifully! Lovely! How are you finding your Sony A7R? You're one of my favourite photographers and I'd love to get your thoughts - I'm looking to grow up and enter into the world of full frame! I'm loving your Instagram photos a lot! And I've tried to get the same natural tone as you, but somehow it seems impossible. I use Snapseed and VSCO. Will you please give me some tips on how to get a more natural tone? Thanks a lot. 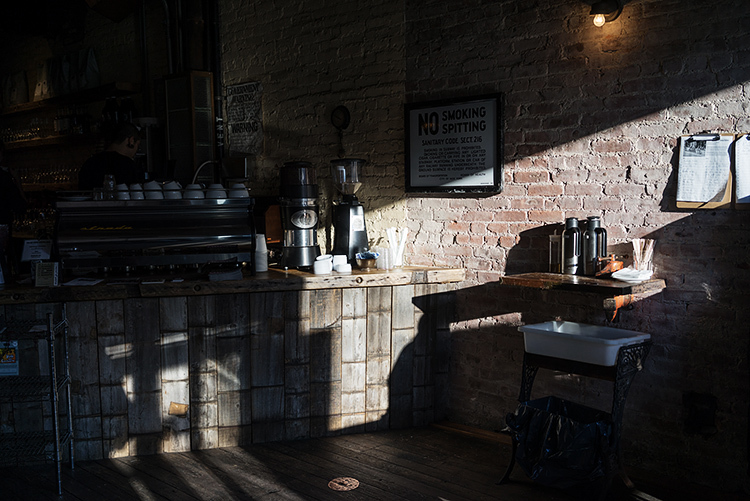 I'm amazed how many good coffee places there are in NYC. The first and only proper coffee place in my little town opened a few months ago. It was so darn difficult to fork out £2.20 for awful coffee. 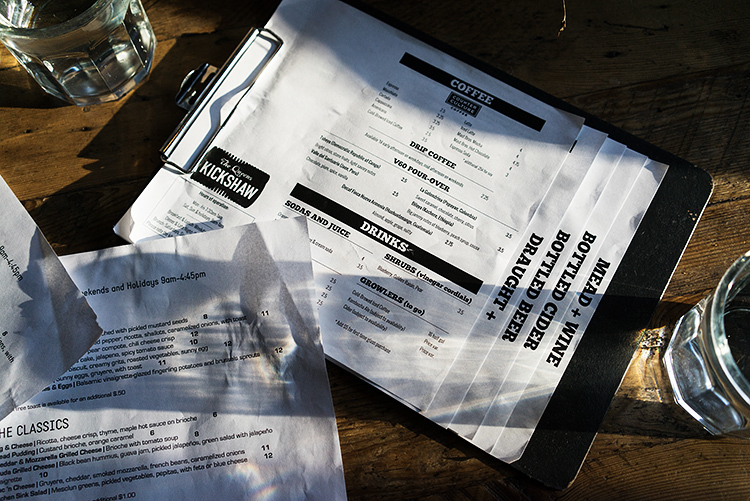 I've always wondered, did you need to ask for permission when taking food/cafe photos?